In National Poetry month we are honoring Arion, an ancient Greek poet and musician credited with inventing the dithyramb, a passionate poem venerating Dionysus, the god of wine and fertility. In Arion’s compositions, a Greek chorus of 50 men sang wild, ecstatic hymns in unison while dancing around an altar of Dionysus. Sometimes they wore masks and impersonated satyrs. 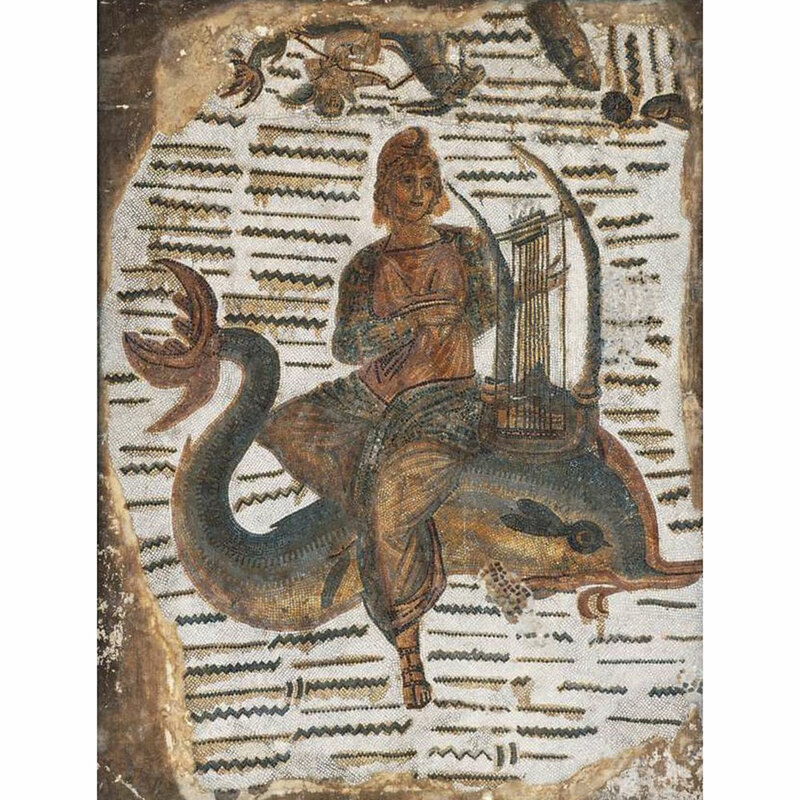 According to the classical myth, Arion was also a brilliant lyre player and won a prestigious musical competition in Sicily. Returning to his home city of Corinth with his prize of gold, he was set upon by greedy, mutinous sailors. They gave him the choice of suicide or being thrown into the sea to perish. 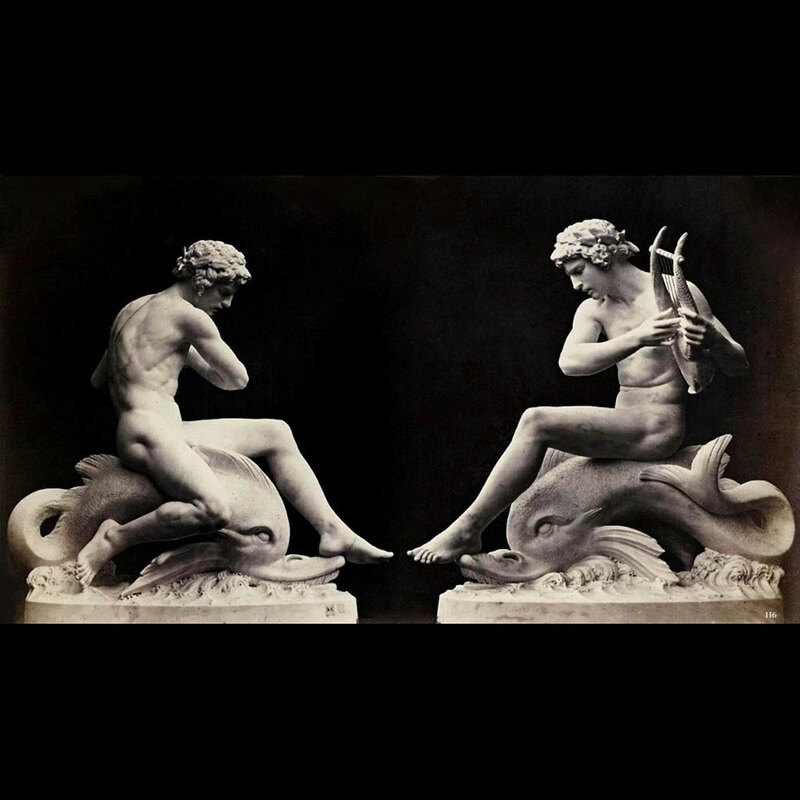 To win time, Arion asked to sing, and he praised Apollo, the god of poetry, with his song. 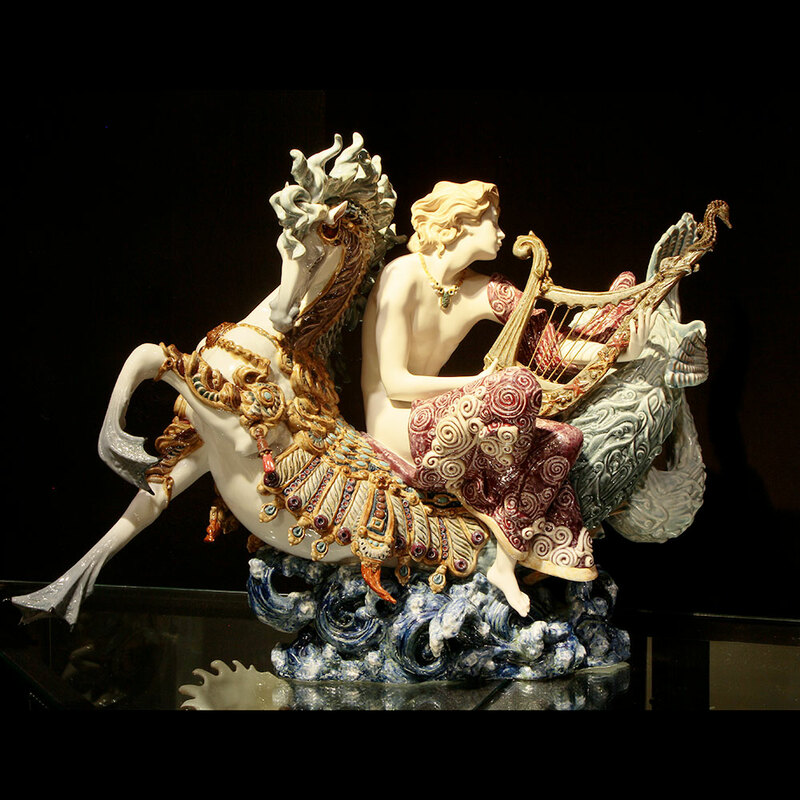 Arion’s sweet music attracted a number of dolphins around the ship. 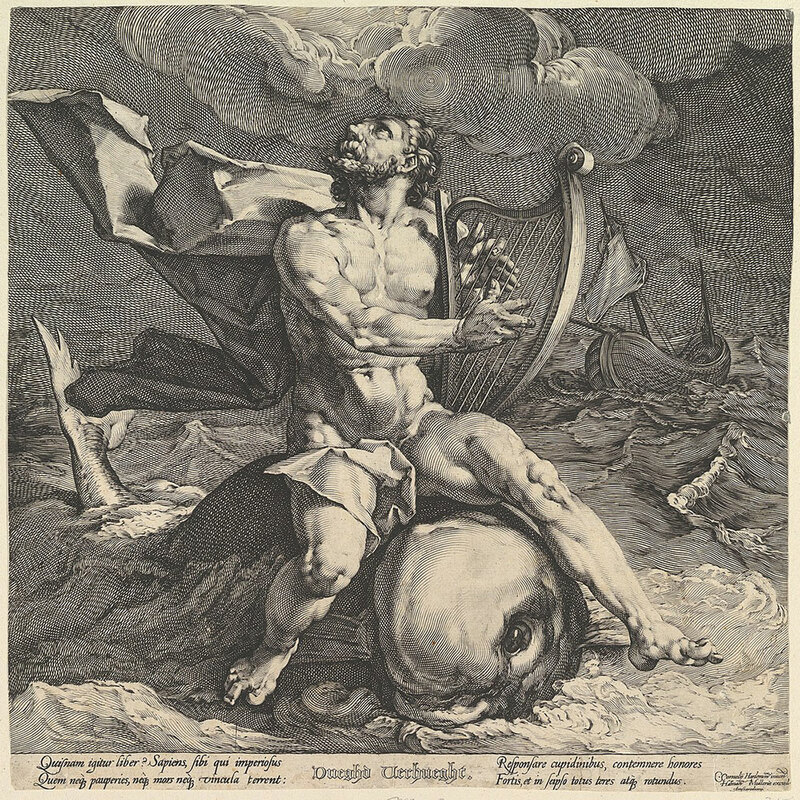 At the end of the song, Arion leaped overboard and was saved by one of the dolphins who carried him safely back to Corinth. 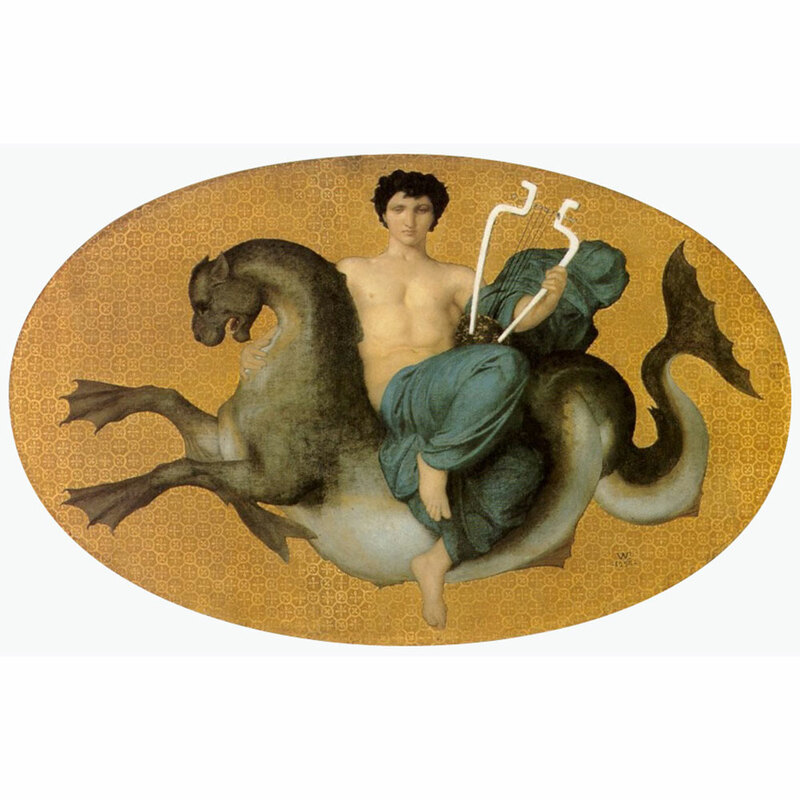 As a blessing, Apollo placed the dolphin among the stars as the constellation Delphinus. 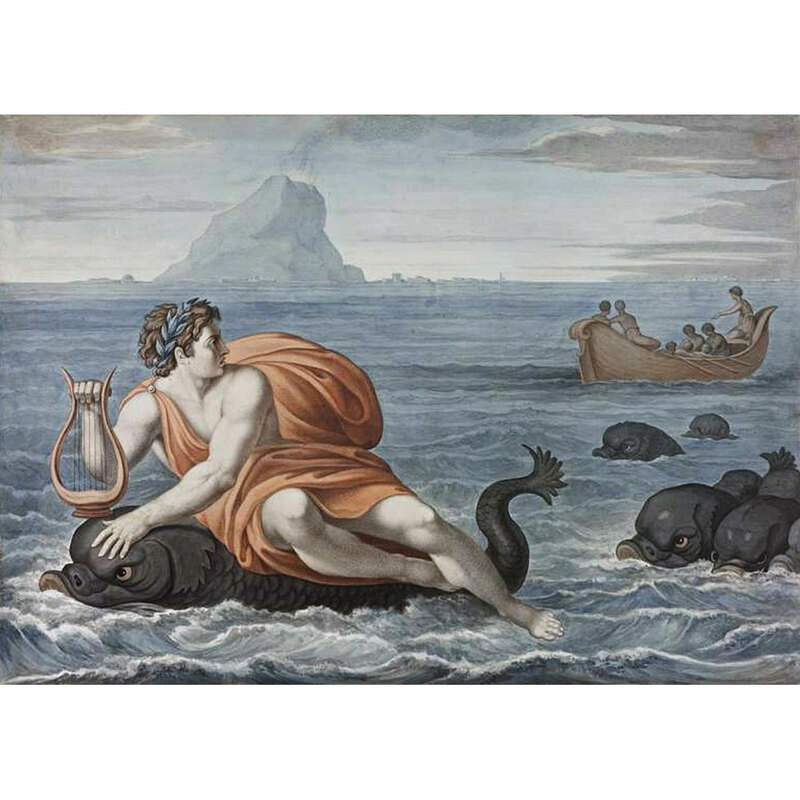 Arion is often shown riding on a dolphin in classical art. 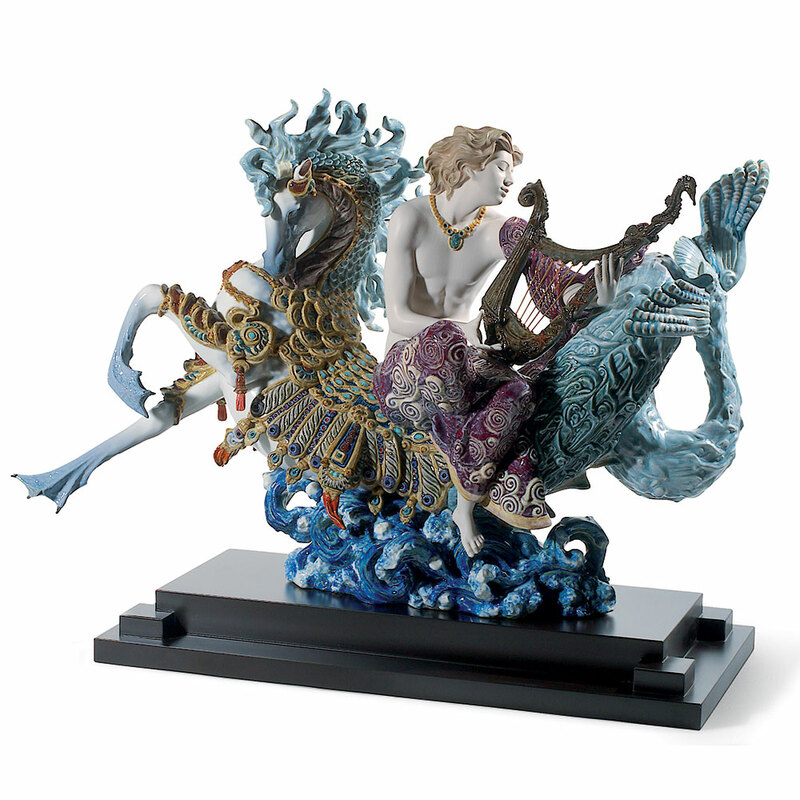 However, for the brilliant High Porcelain sculpture for Lladró, Francisco Polope has chosen to mount him on a Hippocampus or sea-horse. He was inspired by the famous painting by William Adolphe Bouguerau from 1855 which is now in the Cleveland Museum of Art. 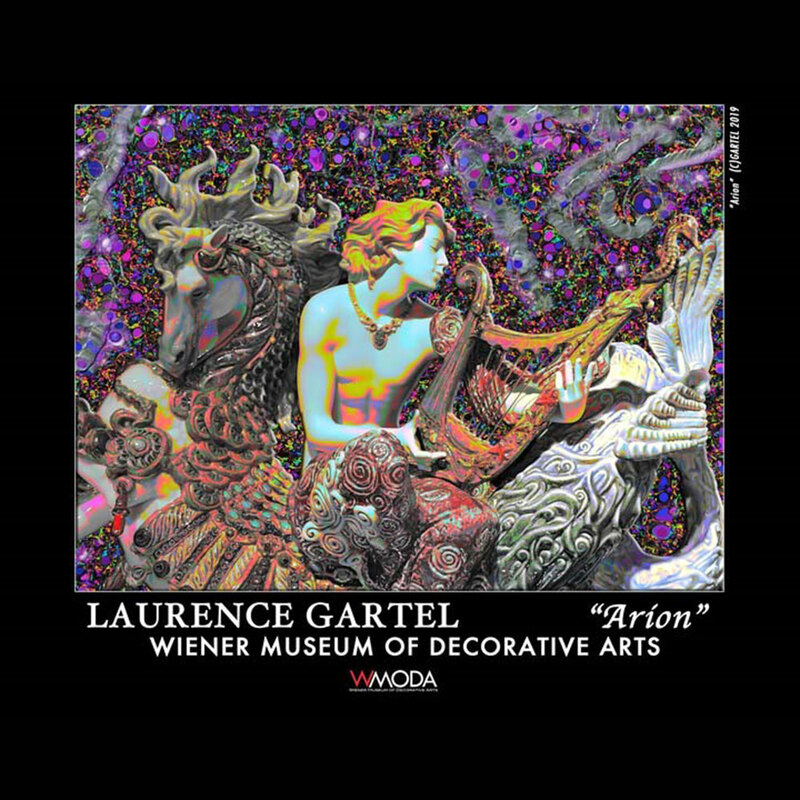 Now digital artist Laurence Gartel has been inspired by the Lladró sculpture on display at WMODA to create a limited-edition print to benefit the museum. Each print is signed and numbered by the artist and costs $395. 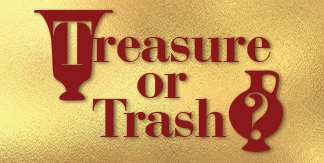 Proceeds benefit the educational programs at WMODA.